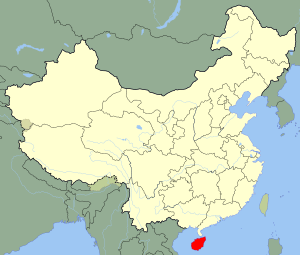 Hainan is the smallest province of the People's Republic of China. The name "Hainan" also refers to Hainan Island, the main island of the province. 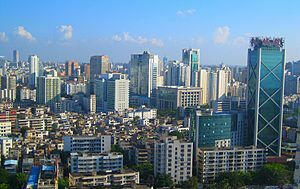 The capital of the province is Haikou. The East Mosque in Sanya, a Chinese-Islamic architecture. Hainan Facts for Kids. Kiddle Encyclopedia.